IFI received a return-request letter via priority mail this week from Dunner Law, a law firm based in Washington D.C. that specializes in intellectual property law. The letter came from Adam Sikich, senior counsel with Dunner Law (and according to his bio, a “Star Wars aficionado”) on behalf of Dunner’s “Client,” the American Psychological Association (APA). In this letter, Sikich kinda, sorta implied Dunner might slap IFI with a $150,000 lawsuit if we don’t remove three illustrations we used in recent articles about a children’s picture book celebrating “pride” parades titled This Day in June by lesbian author Gayle E. Pitman. 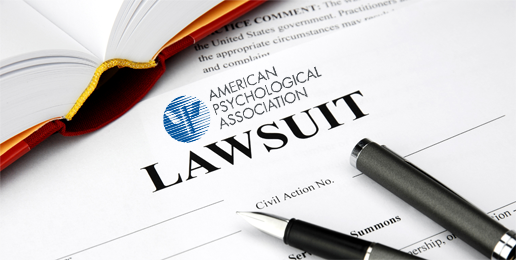 We represent the American Psychological Association, Inc. (“our Client”) in its intellectual property matters. We write to you regarding your organization’s use of protected illustrations from the copyrighted work This Day in June. As you may be aware, our Client is the largest and most prestigious publisher in the field of psychology, mental health and development. Our Client’s children’s book division, Magination Press, publishes books that help children deal with the many challenges and problems they face as they grow up. How have so many people for so many decades not realized how desperately little children need picture books about “pride” parades to help them face the challenges and problems they face—you know, the problems created for them by adults who sought to mainstream sexual deviance? Clearly, Aficionado Sikich and the “Client” are miffed that the “Client” and illustrator were not given their due attribution. Well, Sikich’s command is my command, which I with subservience and alacrity hereby fulfill: The talented illustrator of Gayle E. Pitman’s rhetorically banal and offensive picture book This Day in June, which is published by the American Psychological Association’s Magination Press, is Kristyna Litten. Under the doctrine of “fair use,” the law allows the use of portions of copyrighted work without permission from the owner…. [T]he fair use of copyrighted material without permission is allowed when used for the following purposes: criticism; comment; news reporting; teaching.